I think everyone has the right to do whatever they want with their car, as long as it doesn’t pose risks to their environment. This is taking it too far. This must end. Let’s start with the obvious: it’s an AUTOMATIC ABARTH. Third - Who was the genius behind that claymore of a steering wheel? I can’t wait for the airbag to go off and blind/scar/scab/kill driver and scar anyone in the path of srapnel. 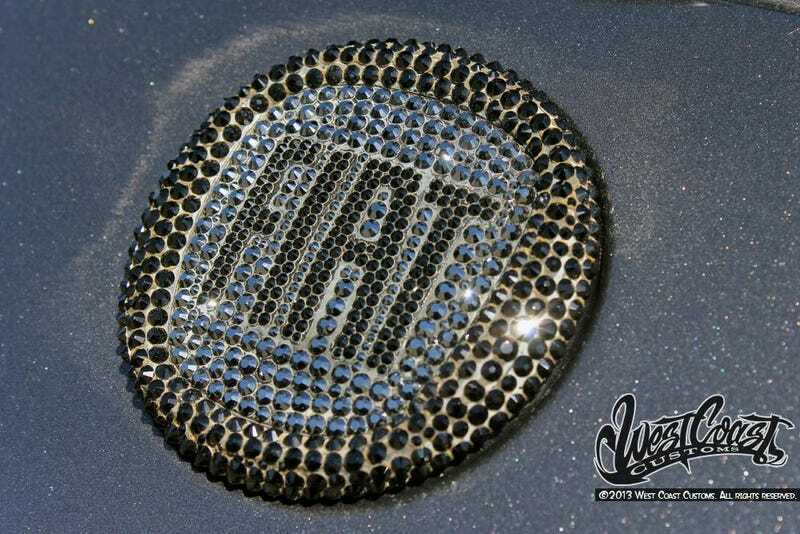 And then.... those crystals on the dashboard.... And replacing the Abarth sign on the hood with that tacky chrytal’d out FIAT sign.. There needs to be end to this horrror.... Please, somebody... Buy this and crush it with a fury of a M1A1 Abrams. First on-site interview. What do you think I should expect?